Dinamed CBD Plus - DinaFem - Medical Feminiseret Cannabisfrø Antal 1 stk. Stk. Antal 3 stk. 1 stk. 5 stk. 10 stk. Dinamed CBD Plus cannabis seeds by Dinafem Seeds belong to a feminised CBD-rich strain, ideal for therapeutic use, that derives from the cross between two Pure CBD 5. After the release of our first pure CBD strain, Dinamed CBD, our team of breeders had no choice but to go one stage further. We all wondered whether it was possible to boost her cannabinoid content even more so as to create a strain with super-high CBD levels. The result is Dinamed CBD Plus, an incredible plant boasting an impressive 20 % CBD content and less than 1 % THC. Dinamed CBD Plus was created not only to meet the therapeutic needs of medical users but also to offer the best quality ever to pure CBD consumers who, rather than the THC-triggered psychoactive high, wish to enjoy the relaxing effect produced by CBD. 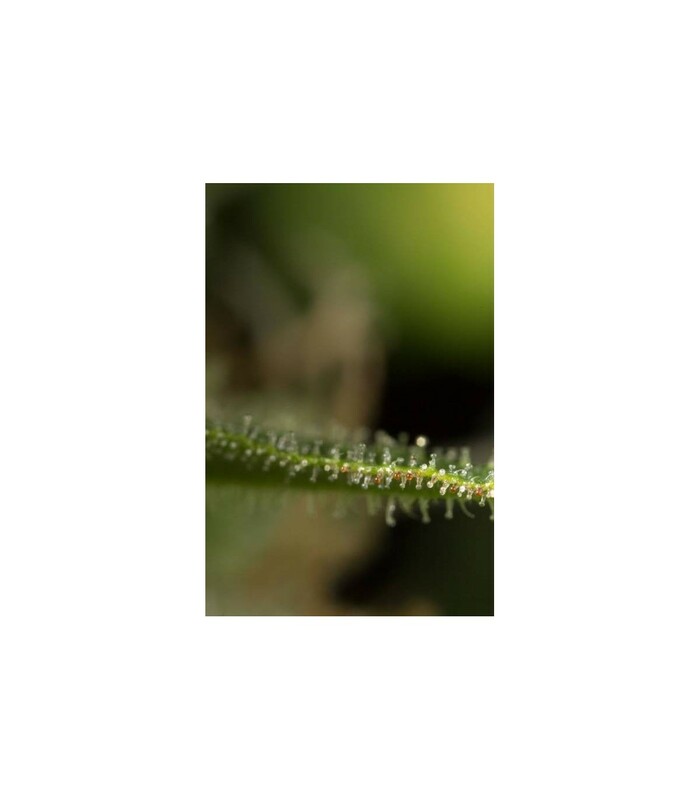 Apart from an amazing stability resulting from a rigorous selection and breeding process, Dinamed CBD Plus showcases higher cannabinoid levels than her sister, Dinamed CBD. 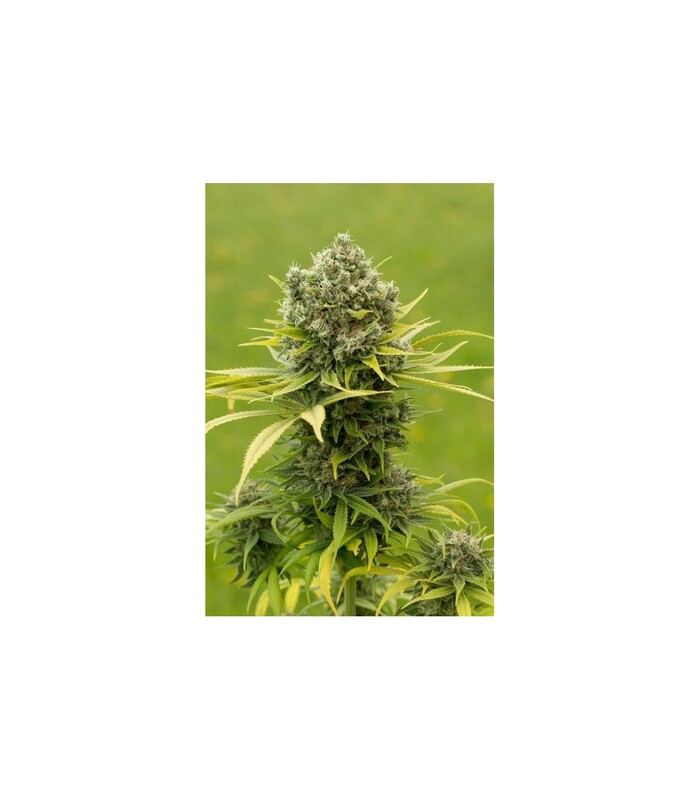 Exactly like her predecessor, she is part of an extraordinary lineage of CBD-rich genetics and has her origins in a self-cross. Dinamed CBD Plus essentially derives from the self-pollination of an extraordinary plant known as Dinamed CBD 5. The purpose of our using this technique was to narrow her gene pool so that both her stability and homogeneity were significantly boosted. The therapeutic properties of CBD have brought in their wake a deluge of information and scientific research on this cannabinoid. After decades overshadowed by its distant relative, the CBD is no more in the background but at the forefront. Unlike THC, CBD is not psychoactive, a fantastic feature that, together with its multiple therapeutic properties and its ability to fight the side effects of tetrahydrocannabinol, places great value on this interesting cannabinoid. Several research studies have proved CBD to have muscle-relaxing, anticonvulsant, neuroprotective, anxiolytic and anti-inflammatory effects. For all these reasons, Dinamed CBD Plus is a powerful tool for treating neurodegenerative diseases, some serious forms of epilepsy such as Dravet Syndrome, multiple sclerosis and even mental disorders like schizophrenia. Dinamed CBD Plus is a sativa-dominant hybrid with abundant lateral branching and medium distance between nodes. Her hybrid-shaped leaves with jagged and mid-sized leaflets could acquire purple hues during the last phase of the flowering when the temperature drops by 10°C at night. A beautiful mid-sized/large plant on which to feast your eyes. Dinamed CBD Plus produces heavier yields than her predecessor, with more cannabinoids and stronger scents. Her resin is also different from what we’re used to. It’s less gooey, and this is down to her low THC content (lower than 1 %) that causes plants to produce less glandular trichomes and more basal trichomes. In short, incredibly bountiful crops of sativa-looking cone-shaped buds with a great calyx-to-leaf ratio. 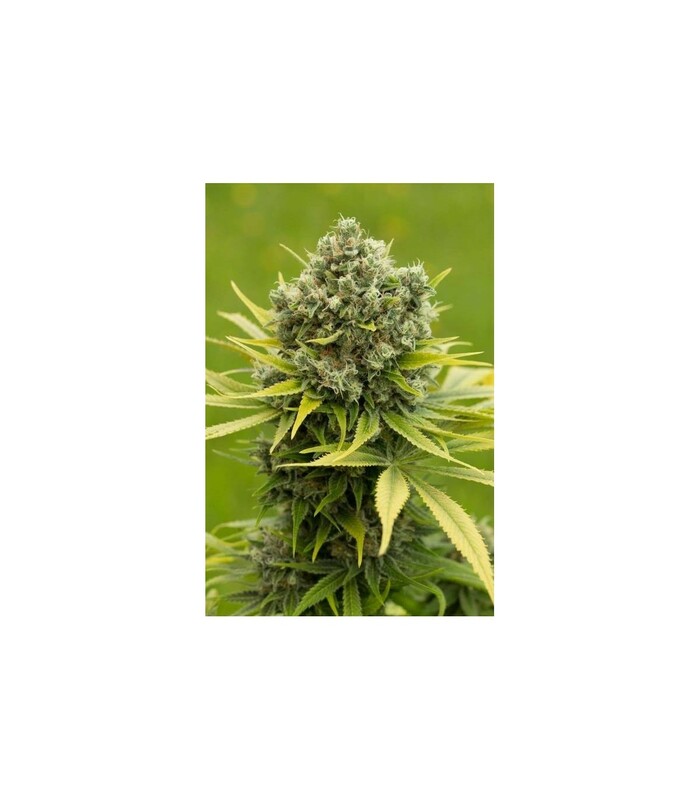 Dinamed CBD Plus grows vigorously due to her sativa heritage and, although it shouldn’t be a problem, it must be borne in mind when growing indoors. In fact, she’s so easy to grow that a standard diet should be enough. No need for great inputs of nutrients. After a flowering of just 60 days, she’ll be ready for harvest by late September/early October in the northern hemisphere, and at the end of March in the southern hemisphere. Thanks to her super-high CBD content of up to 20 %, Dinamed CBD Plus is the perfect anxiolytic, muscle relaxant and pain reliever. And, with such low THC levels, you’ll be able to enjoy all her properties without being hit by the typical psychoactivity felt when consuming cannabis. However, this doesn’t mean that Dinamed CBD Plus doesn’t produce an immediate effect. In fact, her high will quickly take you to a state of total relaxation that, without being too narcotic, will help you soothe away your stresses and even fall into a deep sleep. All these features, together with the anti-epileptic, anti-psychotic, anti-oxidant and antidepressant properties of CBD, make Dinamed CBD Plus a therapeutic strain of great interest. Dinamed CBD Plus boasts delicious sweet and zesty tastes. Ideal for lovers of fruity flavours with very special and familiar notes. OBS: Cannabis frø er KUN lovlige som samleobjekter i Danmark!